I love discovering baby gear boutiques that I can actually visit in person and see all the fabulous finds usually sold online. 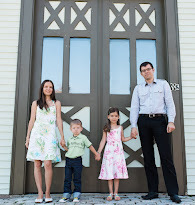 Recently I had the opportunity to stop by Baby Koo, a local (to me) baby boutique store that also operates online. I was pleasantly overwhelmed the minute I walked in - all the best Eco baby brands in one place. It was like a dream for a baby gear addict. The owner has generously provided us with a Puj Tub for review for the Welcome Baby event. The Puj Tub is an innovative way to bathe your newborn and infant. My favorite feature is the amount of space it takes up. We live in a small town home and the bathrooms aren't huge, we never had a good place to store the baby tub except for the adult tub. Then you end up moving it back and forth every day. 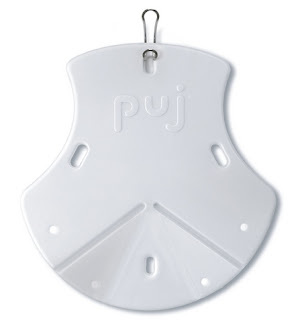 The Puj Tub neatly hangs on the back of the door, out of your way. 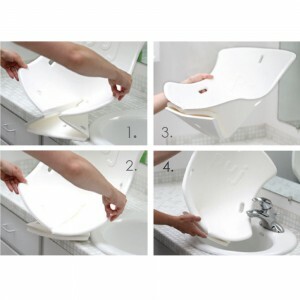 It is very easy and quick to fold, dries quickly, and it's soft and comfy for baby. 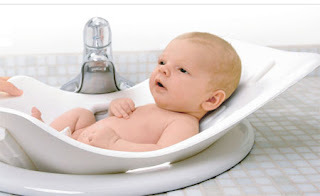 Not only that, you will not have to bend over to bathe your infant as you just place this in your sink. Genius? In every way. Baby Koo also carries a variety of [the best and cutest] baby gear. You'll find baby and toddler furniture, nursery decor, car seats, strollers, toys, and clothing to name a few. Receive free shipping on orders over $65 and no taxes if shipped outside of Massachusetts. You can event create a baby gift registry with Baby Koo! They also offer gift certificates, perfect for the discerning mom-to-be on your list.